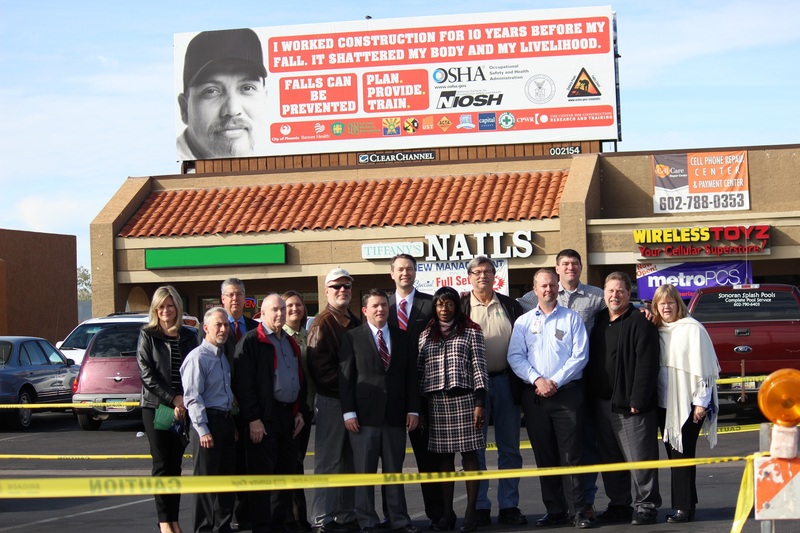 As you can see on our Campaign Partners page, the national campaign seeks to engage organizations, worker safety groups, construction companies, and other stakeholders on both a national and local level. We are eager to see our partners conducting any activities to raise awareness about fall hazards and protection and to educate contractors and workers on how to prevent falls on jobsites. When we hear about a dynamic campaign that produced good results, we often create a “Success Story” – a short report with photos describing what the partner groups did and what they achieved. Success Stories for organizations like the Kentucky Labor Cabinet, the Massachusetts Department of Public Health, and the Mid-Atlantic Construction Safety Council can be found below. Take a moment to read a few Success Stories for ideas on activities you can conduct in your state or region. And if you are engaged in any activities to promote safety on your jobsite or in your community, let us know about them at falls@cpwr.com! The US Air Force was one of the major participants to join in the week-long Safety Stand-Down. They not only reached hundreds of thousands of state-side individuals, but also extended the effort to those working internationally. The initiative was led by the Headquarters Air Force Ground Safety office and supported by more than 2000 Air Force safety professionals, as well as commanders and supervisors worldwide. 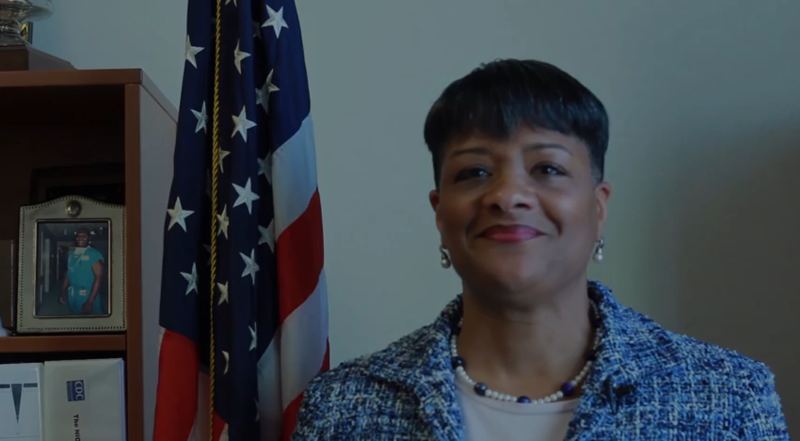 The goal was to reach 650,000 military and civilian personnel, and estimates show that they likely exceeded that goal through the use of televised videos by Dr. Michaels of OSHA and Dr. Branche of NIOSH in military exchanges. Through the Mid-Atlantic Construction Safety Council, more than 30 organizations and 7,000 employees participated in stand down events! 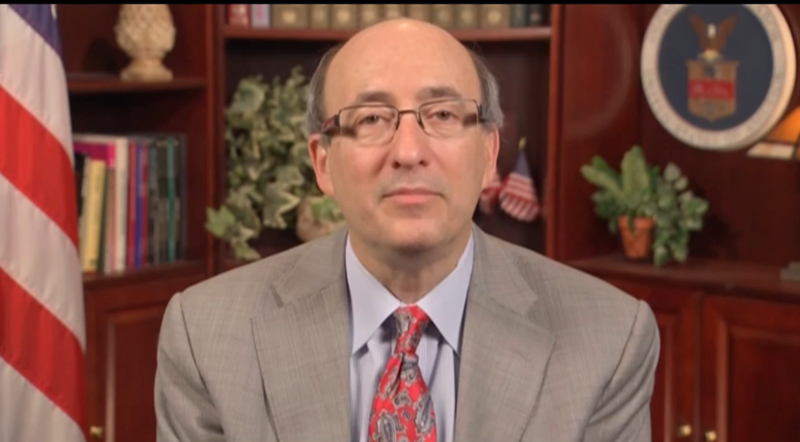 Read more about the successes and activities of the Mid-Atlantic Construction Safety Council. Campaign partner Kentucky Labor Cabinet, Department of Workplace Standards have compiled all their activities and successes for 2014 into this PDF. The Kentucky Labor Cabinet urged Kentucky employers and employees to participate in the National Stand-Down for more than a month before it began with weekly announcements in both English and Spanish. Read all about their Stand-Down activities and activities for the rest of the year! 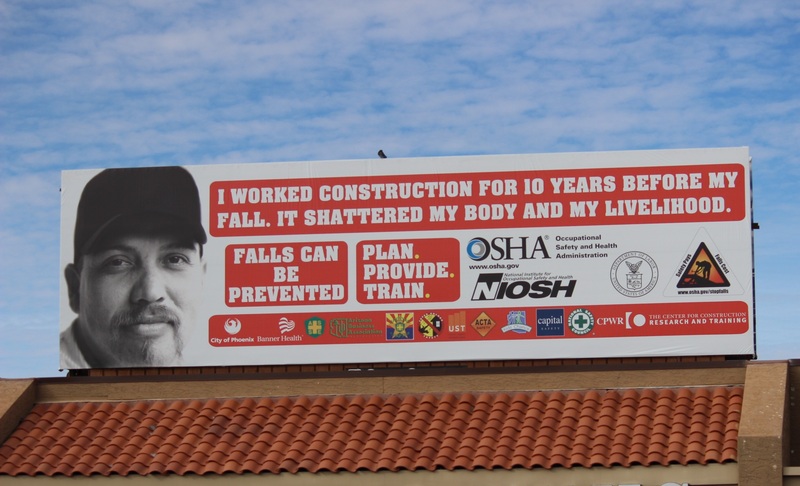 For the second year in a row, Lamar Advertising Company has generously donated national billboard space to OSHA as part of the Campaign to Prevent Falls in Construction. 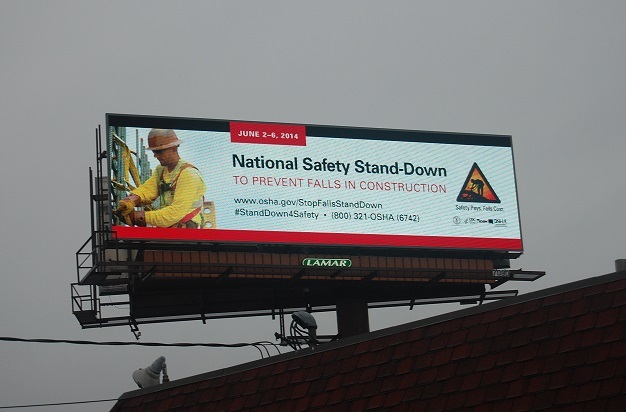 Above, one of this year’s billboards located in Stratford, CT displays an ad promoting the National Safety Stand-Down. Construction managers took the lead improve worker safety in a big way: a month-long stand down to learn how to completely inspect fall protection equipment, then conduct a thorough inspection of all parts of their fall protection system. Read about the surprising results these 10 members of the Mid-Atlantic Construction Safety Council achieved, and get tips to set up a similar inspection stand down for your company. Campaign partner Kentucky Labor Cabinet, Department of Workplace Standards have released their campaign successes into a PDF. The Kentucky Labor Cabinet developed flyers on different topics on preventing falls in construction, which addressed aerial lifts, personal protective equipment, scaffolds, to name just a few of the topics. The campaign message was also promoted through the Kentucky Labor Cabinet’s social media outlets and on their web page. Read more about their efforts here. 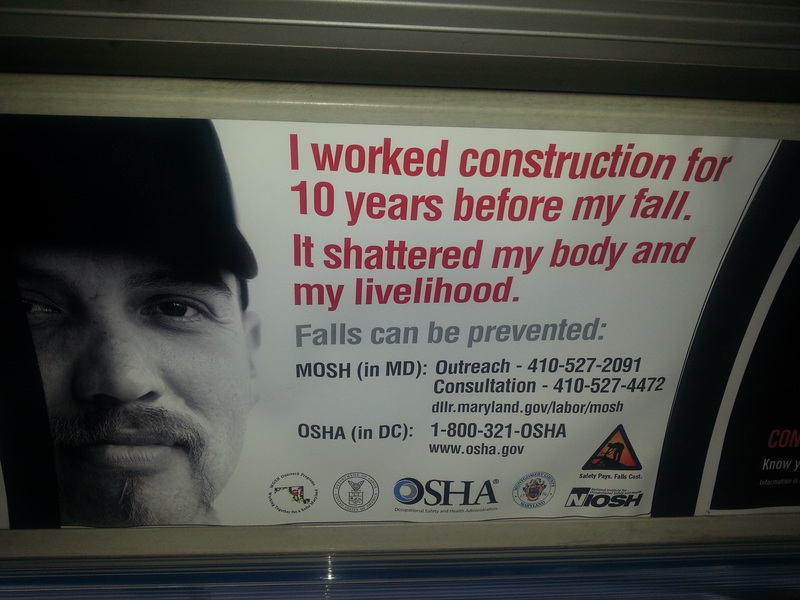 Falls campaign partner Massachusetts Department of Health, Occupational Health Surveillance Program’s story of the fall campaign and how they have worked to reach construction workers is now available as a PDF. 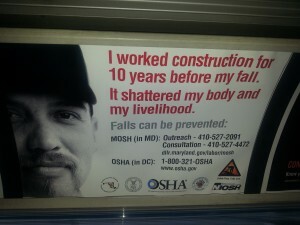 The Massachusetts Department of Health was able to team up with local transit to get campaign posters on buses, work with permit offices to distribute campaign information, and provide fall protection training to 350 at-risk roofers, free of charge. Read the story of their successes here. North Carolina Agricultural and Technical State University (NCAT) radio station, WNAA 90.1 will be airing a PSA regarding falls in construction. The spot, produced by NCAT student volunteers, targets construction workers to let them know that falls in construction are preventable. WNAA reaches 13 counties between North Carolina and western Virginia, as well as a large national internet following. Listen to it here. Campaign falls poster appears on Montgomery County, Maryland Ride-On buses in March 2013, being the first public transit system to spread the word on the campaign. Thank you to campaign partner Montgomery County Government! Habitat for Humanity is known for its volunteers – many with no knowledge of construction – who help remodel and build new housing for those in need. So the organization takes steps to ensure the safety of its volunteers. CPWR Researcher Vicki Kaskutas documented the process of incorporating fall protection into the entire building process on a St. Louis Habitat project. Kaskutas tracked the director’s collaboration with local businesses and professionals, including a tool rental company, an engineer, and machine shop, then noted all solutions he implemented to construct a two-story home with basement – using fall protection in every situation that arose. Read the case study here. 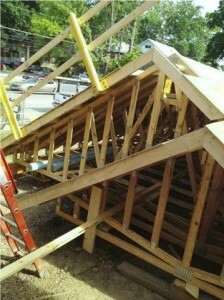 Roof on the St. Louis Habitat for Humanity was built on the ground then lifted into place with a crane. Note use of fall protection for workers finishing the roof: guardrails. A Massachusetts-tailored Campaign poster appears on a subway car in greater Boston. Campaign posters are also up on regional transit bus routes throughout the state. All ad space was donated and posters will run from April – June as part of a multi-layered state-based initiative to promote the Campaign.